Getting outdoors and into the wilderness is a healthy thing to do – both mentally and physically. But accidents happen and it’s important to know how to handle them. Safety is your responsibility. Read more in our safety information pages. We strongly recommend that you get training from a professional. Take a wilderness first aid course. They will cover what to do if you’re wounded, break a bone, get burned, and more. CPR training isn’t always part of a basic first aid course. It’s worth making the extra effort to learn that as well. There are multiple levels of training. If you spend a lot of time on the trail or in the backcountry, an 80-hour Wilderness First Responder course is a very good idea. Long-distance hikers and riders should seriously consider this level of training. First Aid Kit Checklist from our partners at REI. 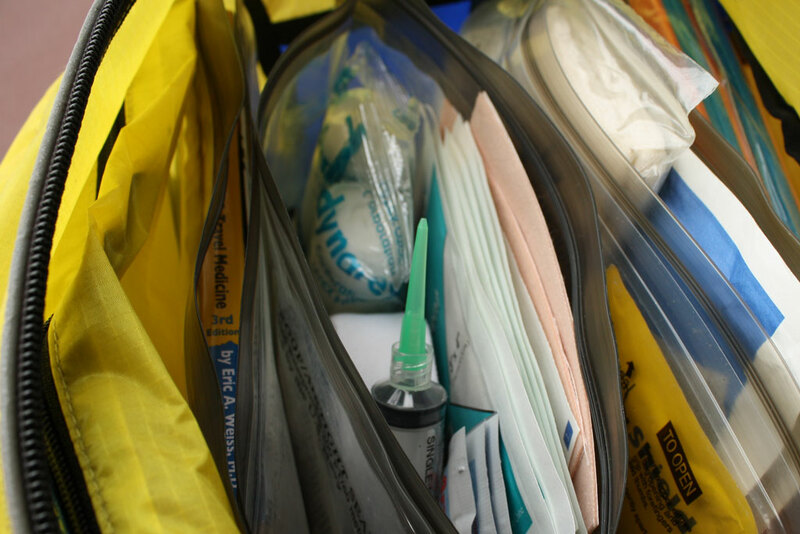 How to Choose or Build a First Aid Kit from REI. Carrying cell phones into the backcountry was once controversial and now is quite commonplace. Be aware that carrying a cell phone does not guarantee your safety and is not an excuse for poor planning. Often, cell phones don’t work on the PCT. There are many stories of people on the PCT who have been rescued because they called for help using their cell phones or satellite devices. More and more, Search and Rescue personnel are suggesting that it’s a good idea to carry a beacon. 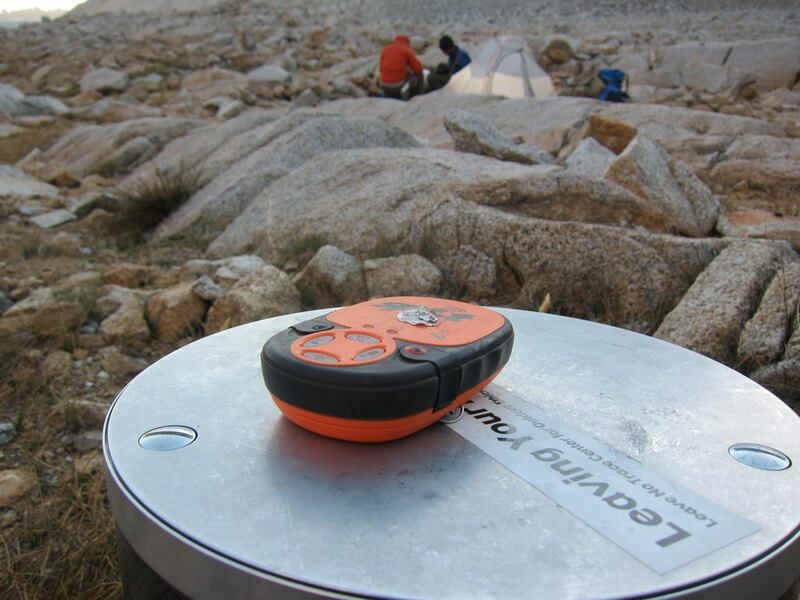 In the backcountry, various technologies allow for satellite-based communications. Some of these are specifically designed for calling emergency services. SPOT units are quite popular but they’re not the only option. Personal Locator Beacons offer the gold standard of reliability. Even so, it’s important to rely on your outdoor skills, not on your technology. Devices can break down. And electronics might give one a sense of security that isn’t really there, meaning a person may push themselves past their capabilities because they falsely believe that help is closer than it really is. If you’re carrying a beacon, please read our important information on emergency beacons, lost hikers, and trip plans. Are ticks and Lyme disease a problem on the PCT? While not extremely common, due to the potentially serious nature of tick-borne diseases (including Lyme), we recommend caution. Ticks that carry various diseases are present on the trail corridor. Most people travel the entire trail without getting a tick, however cases of Lyme disease, Rocky Mountain spotted fever and other tick-borne diseases have been reported to the PCTA. Travelers should take precautions to stop ticks, including using Permethrin, DEET and doing tick checks. Remove any attached ticks properly by pulling them straight out, preferably using tweezers. Most reports of ticks on the PCT have come from Southern California. More information about ticks and tick-borne diseases can be found on the California Department of Public Health website.